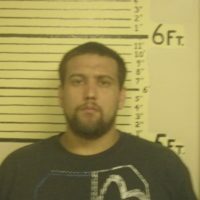 Henderson County Sheriff Steven Haynes say that Dalton B. Smith, age 27 of Lomax, IL. has been arrested on a Henderson County warrant for 3 counts of Arson and 1 count of Unlawful Possession of Stolen Vehicle. According to the complaint, In the early morning hours of Tuesday, May 22nd, fire departments from Lomax, Dallas City, and M.S.T were called to north of Lomax for a large structure fire. It is alleged that Dalton Smith set fire to multiple buildings at the old dairy farm. It is also alleged Smith was in possession of a stolen ATV from rural Lomax that was stolen on May 12th. Smith’s bond has been set at $100,000 10% to apply. Arson and Unlawful Possession of Stolen Vehicle are both Class 2 Felonies which carry a possible sentence of 3 to 5 years in the Department of Corrections and fines up to $25,000 each.